The Ministry of Communications of the Russian Federation is looking at revising sales tax conditions for purchases made in foreign online stores, in order to enhance competitiveness of Russian e-commerce. Denis Sverdlov, Deputy Minister of Communications and Media of Russia, said that his ministry would review the terms of purchasing products in foreign online stores. 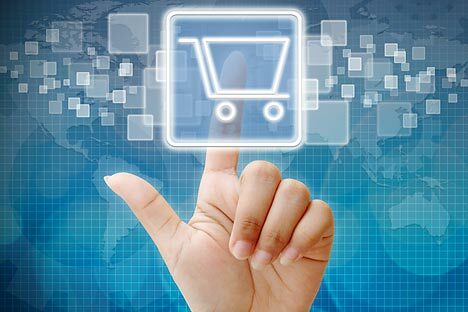 The agency wishes to increase the competitiveness of Russian e-commerce. Today Russian online stores find themselves at a disadvantage. Foreign products are cheaper, and if their prices are under 40,000 rubles ($1,240), they are not even subject to VAT or customs duties. The Ministry itself is not proposing any specific measures; however, some online businesses are demanding the introduction of a new duty. Oskar Hartmann, general director of the online store KupiVIP, brought up this issue at the Open Investments Forum in Moscow. He compared Russia with a duty free area, where imported goods are not subject to any duties. Hartmann also emphasized that it was more profitable not to open a business in Russia, but rather establish companies abroad and then ship goods to Russia, saving on customs and tax payments. “No country in the world allows you to buy common everyday products in other countries without paying any taxes or customs duties,” said Mr. Hartmann. Auto parts are the most popular goods that Russians are buying in foreign online stores, accounting for 23.3 percent of all purchases. Electronics hold second place with 19.5 percent. The last in the Top-3 are clothing and accessories with 14 percent. The average online purchase by Russians is estimated at $425. “Russians are choosing foreign online stores primarily due to their lower prices,” notes Maxim Andrukhin, head of the representative office of Bay.ru in Russia and CIS.